Inspired by true events, The Vain Conversation reflects on the 1946 lynching of two black couples in Georgia from the perspectives of three characters--Bertrand Johnson, one of the victims; Noland Jacks, a presumed perpetrator; and Lonnie Henson, a witness to the murders as a ten-year-old boy. Lonnie's inexplicable feelings of culpability drive him in a search for meaning that takes him around the world, and ultimately back to Georgia, where he must confront Jacks and his own demons, with the hopes that doing so will free him from the grip of the past. 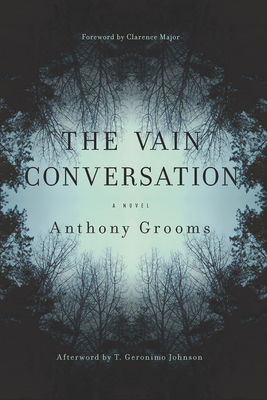 In The Vain Conversation, Anthony Grooms seeks to advance the national dialogue on race relations. With complexity, satire, and sometimes levity, he explores what it means to redeem, as well as to be redeemed, on the issues of America's race violence and speaks to the broader issues of oppression and violence everywhere. A foreword is provided by American poet, painter, and novelist Clarence Major. An afterward is written by T. Geronimo Johnson, the bestselling author of Welcome to Braggsville and Hold It 'Til It Hurts.